1) For the longest time, the Illawarra Brewing Company had Wollongong’s craft beer market all to itself. 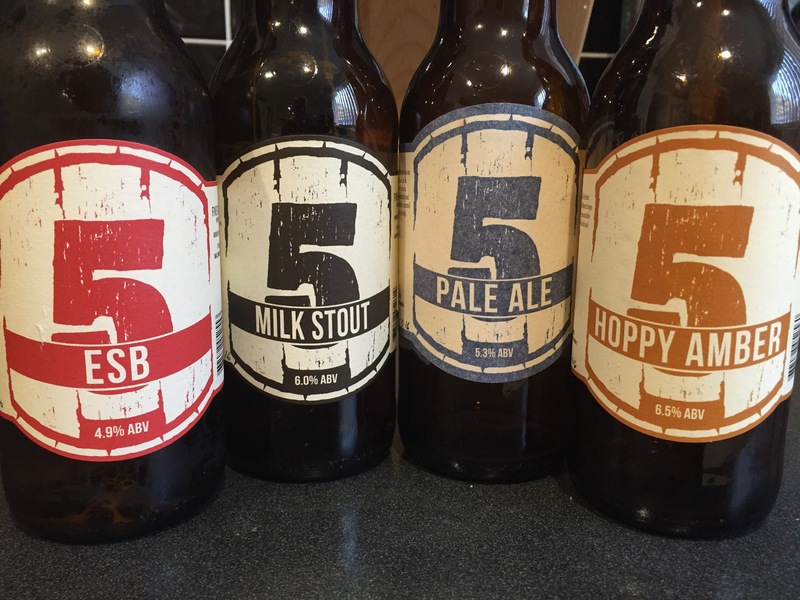 Of course, back then it was called Five Islands Brewery and the beers were made by none other than Tim Thomas of HopDog fame. You could get beers with Wollongong references in the name – Bulli Black, Dapto Draught and Parkyn’s Shark Oil – named for the only people to live on the Five Islands off the coast near the brewery and the fact they made shark oil. And I’ve been told it might have even been the first US IPA made in Australia. 2) But now there’s a new kid on the block – and it’s only five or six blocks from the IBC brewery. I speak of Five Barrel Brewing, run by owner and brewer Phil O’Shea (he also runs the Crafty Brew mail order beer website). He opened the doors in December and did a proper launch earlier this year. I happened to write a story about the place for The Crafty Pint (shameless self-promoter that I am). Initially the beer was only available on tap or in growler fills but, this month, Phil’s put some of his core range in bottles, which are on sale at the brewery as well as good bottle shops around town. 3) This post could have just as easily been about the milk stout. Or the hoppy amber. Or even the ESB. Because they’re all really, really good. But I should point out the milk stout is a specialty, not part of the core range, so it might not still be around by the time you read this. The milk stout is smooth and creamy, the hoppy amber has a lovely passionfruit tang and the ESB made me understand for the first time how that style can throw marmalade flavours. 4) I picked the pale ale for this week’s Five Things just because it was the first of the four beers I tried. The label description says the beer “brings a burst of passionfruit and citrus atop a light caramel and biscuit malt body”. Now, I don’t have to come up with a description of this beer, because those words on the label totally nail it. The beer does what it says on the tin … err, on the bottle. 5) In closing, I really like the “bottled on” information on the label. As Five Barrel isn’t a big operation, the date is written in pen (presumably by Phil himself). I can’t quite explain why I like that the date is written in black pen but I do. Maybe it’s something to do with it giving a little bit of a personal touch to the beer.